A brand new experience is coming to The Void this Fall at Disney Springs, and it’s based on Ralph Breaks the Internet! According to The Void’s official website, the experience is “coming soon”, but insiders point to a November timeframe. It will debut alongside the popular Star Wars experience currently at The Void. As more information becomes available, we’ll be sure to share it with you. 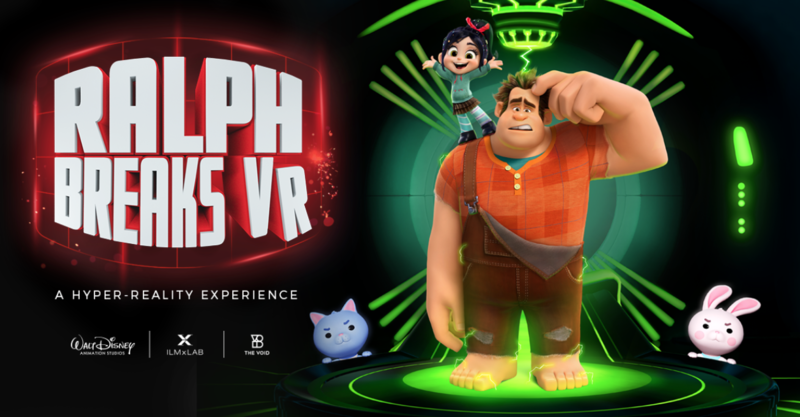 Ralph Breaks VR will be followed by an experience based on an undisclosed Marvel movie that will premiere sometime in 2019. Marvel’s pre-announced 2019 films are Captain Marvel, Avengers 4, and Spiderman: Far from Home.